Our 31st Annual EAU Congress is only a few weeks away, but even before the congress and in the next few months there are several key events to look forward to. Next week we will celebrate the 25th Anniversary of the European Urology Forum in Davos, Switzerland, our longest running educational event. From May 27 to 28, the EAU Regional Baltic Meeting will take place in Talinn, Estonia, attracting the most talented and promising young urologists. The EAU is also actively involved in the 3rd Conference on Active Surveillance for Low Risk Prostate Cancer, from 12 to 13 February in Milan. Meanwhile, the EAU Section of Urological Research (ESUR) issued a call for the 2016 Dominique Chopin Distinguished Award. Submit your nominations before March 9. And don’t miss the February 9 deadline to benefit from a discounted late registration fee for the Annual Congress. Urology experts from across Europe will gather from 27 to 28 May in Talinn, Estonia for the 3rd EAU Baltic Regional Meeting. This annual meeting actively supports the clinical and research careers of young and mid-career urologists. Join your colleagues for a balanced and compact programme that examines some of the most current urology topics. Submit your abstract before 1 April 2016 and get recognized for your work! Are you the next winner of the Dominique Chopin Distinguished Award? The EAU Section of Urological Research (ESUR) is now accepting nominations for the 2016 Dominique Chopin Distinguished Award. If you have deserving candidates and nominees, the contest is open from 5 February to 9 March 2016. EAU members who will be sending a nominee should consider the following criteria. The award includes a grant of €5,000 which will be officially handed during the 23rd Meeting of the EAU Section of Urological Research (ESUR16) in Parma, Italy from 20-22 October 2016. All nominations should include a cover letter and candidate’s CV along with a list of publications and should be sent to: Prof. Margaret Knowles, Vice Chair ESUR, Leeds Institute of Molecular Medicine. With just five weeks to go before EAU16, Europe’s biggest urology event, late registrants still have the last chance to benefit from discounted fees by beating the 9 February deadline! Register now and don’t miss a Scientific Programme that features the best, newest and most exciting updates and developments in urology. Be at the forefront of urological developments! All webcasts and outlined lectures from ESOU16 in Warsaw are now accessible in UROsource, the portal for comprehensive updates on current urology. Watch the lively discussions and debates among international experts in onco-urology on topics that range from dilemmas in multidisciplinary strategies to cutting-edge treatment options. Access is free for delegates by using the barcode printed on the ESOU16 meeting badge. Active surveillance (AS) is becoming an accepted initial strategy in treating low risk prostate cancer and is expected to play an increasingly important role. The European School of Oncology’s (ESO) Third Conference “Active Surveillance for Low Risk Prostate Cancer” is organized in collaboration with the EAU and endorsed by the patient group Europa Uomo. 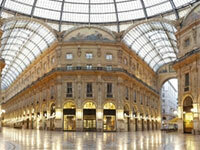 Milan hosts this meeting from 12 and 13 February. Insights from leading experts and opinion makers will shed new light on state-of-the-art active surveillance strategies, a pivotal tool in the management of low risk prostate cancer patients. 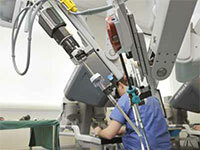 Seeking for perfection in Robotic Surgery? The EAU Robotic Urology Section and the European Section of Transplantation Urology have collaborated in an advanced course in robotic renal transplantation: New Frontiers in Robotic Surgery, taking place from 6 to 10 March 2016 at the OLV Vattikuti Robotic Surgery Institute, in Melle, Belgium. 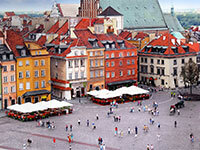 This 5-day course is endorsed by the European School of Urology and is aimed at Transplant Surgeons with limited experience in robotic assisted technique. More advanced surgeons can join from day 3 of the course. For more information click here (pdf). 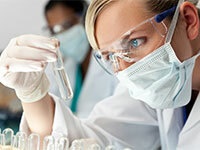 EAU’s longest-running and highly attended scientific and educational event will take place from 13-16 February in Davos. The Annual EAU Congress is Europe’s largest annual event showcasing the latest and the most relevant knowledge with medical experts active in the urological field. 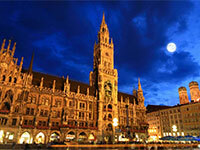 The 6th International Congress on the History of Urology will be held in conjunction with the 31st Annual EAU Congress in Munich. 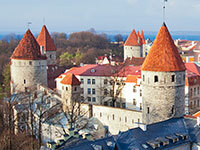 The meeting in Tallinn in Estonia is the region’s most highly anticipated annual urology event. We introduce and provide updates of the most recent technological advances and the impact of these developments on our everyday clinical practice. Looking for the latest meeting content? The European Association of Urology is a non-profit organisation, which works to advance urology and support medical professionals practising in this field.